We respect your privacy. This email address will only be used for providing information regarding antislapptexas.com, including blog updates. Guess Whose Back, Back Again? The Texas Supreme Court's Back with a Texas Anti-Slapp Opinion. Tell a Friend. I’ve been on hiatus for a few weeks. I’ll be posting some new opinions this weekend, but nothing shocking has occurred over the last couple of weeks. 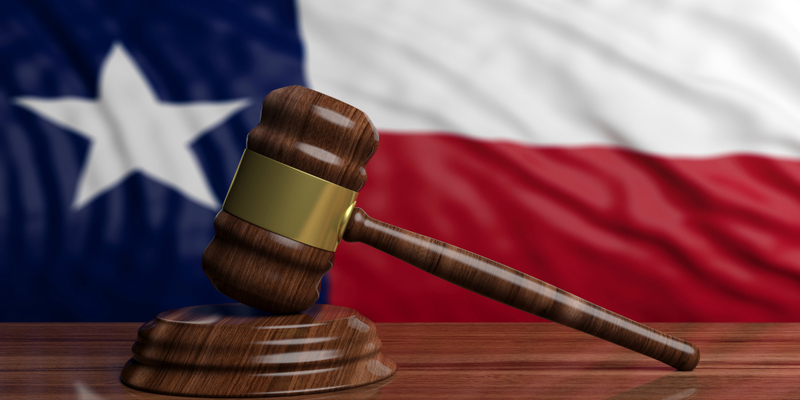 However, yesterday (April 5) the Texas Supreme Court issued West v. Quintanilla, --- S.W.3d ---- (2019) (TSC April 2019). The opinion does not delve into the specifics of whether the Texas Anti-Slapp applied to the dispute, but practitioners should focus on on the footnotes, in particular, instruction from the Court to focus on the pleadings for establishing clear and specific evidence of the challenged cause of action (Step 2 for those that follow this blog). Short version of the underlying facts: the case is a contract interpretation dispute between two individuals. Defendant filed liens against Plaintiff’s real property. Plaintiff sued for slander of title to remove the liens, breach of contract, declaratory judgment, etc. Defendant filled a Texas Anti-Slapp based on Free Speech and Right to Petition (lien challenges trigger right to petition - although the TSC does not delve into that issue):. COA reversed applying the substantive “parole evidence” rule. TSC reversed the COA and remanded to consider other legal and evidentiary points. The reversal all turned on an analysis of the parole evidence rule.. Here is the footnote quote from the TSC. The TCPA directs us to “consider the pleadings and any supporting and opposing affidavits” in “determining whether the plaintiff’s claim should be dismissed.” In re Lipsky, 460 S.W.3d 579, 587 (Tex. 2015) (citing TEX. CIV. PRAC. & REM. CODE § 27.006(a) ). We have recently observed that the pleadings are “the best and all-sufficient evidence of the nature of the action.” Hersh v. Tatum, 526 S.W.3d 462, 467 (Tex. 2017) (quoting Stockyards Nat’l Bank v. Maples, 127 Tex. 633, 95 S.W.2d 1300, 1302 (Tex. Comm’n App.) ); see id. at 468 (holding that movant established application of the Act “[b]y relying on the language used in the ... pleadings”). The takeaway - whether presenting or defending a Texas Anti-Slapp, focus on the factual allegations of the pleadings. Anyone that follows this blog knows that attempting to pigeon hole the Texas Anti-Slapp into a David v. Goliath is missing the breadth in which the statute is being applied. Often times it is Goliath that is swinging the Texas Anti-Slapp hammer down onto David. There is a reason why so many COA opinions are asking for changes to the statute. What those changes may end up, and whether they resolve the criticism remain to be seen. Until then, we eagerly await the next clarifying opinion from the Texas Supreme Court. Here are just a few articles being written (which all focus on HB 2730). Montiel v. Eduardo, 2019 WL 1186695 (Houston COA 2019) serves as a reminder to properly calendar and pursue interlocutory appellate remedies under the Texas Anti-Slapp. The movant properly moved for dismissal but the Court did not rule within 30 days after the hearing. Tex. Civ. Prac. & Rem. Code §27.008(a). This denial by operation of law triggers the 20 day deadline to file an appeal under TRAP 26.1(b). Movant did not appeal within the 20 day deadline and the Houston COA dismissed the appeal as untimely. Skidmore v. Gremillion & Co, 2019 WL 1119401 (Houston COA 2019) confirms that a voluntary appearance (in this instance it was made in the course of disputing a temporary restraining order) starts the 60 day trigger to file a Texas Anti-Slapp. Tex. Civ. Prac.& Rem. Code § 27.003(b). The movants made general appearances but were not served with citation. Applying Tex. R. Civ. P. 120, the Houston COA determined that within the context of the TCPA, the clock runs when the general appearance is made, not when the movants later decide to file their answer. Therefore, the Texas Anti-Slapp motions were untimely. Just a reminder - calendar often, early, and err on the side of caution if you want to maintain the viability of a Texas Anti-Slapp motion. The Future of the Texas Anti-Slapp is Here! But What Will it Be? 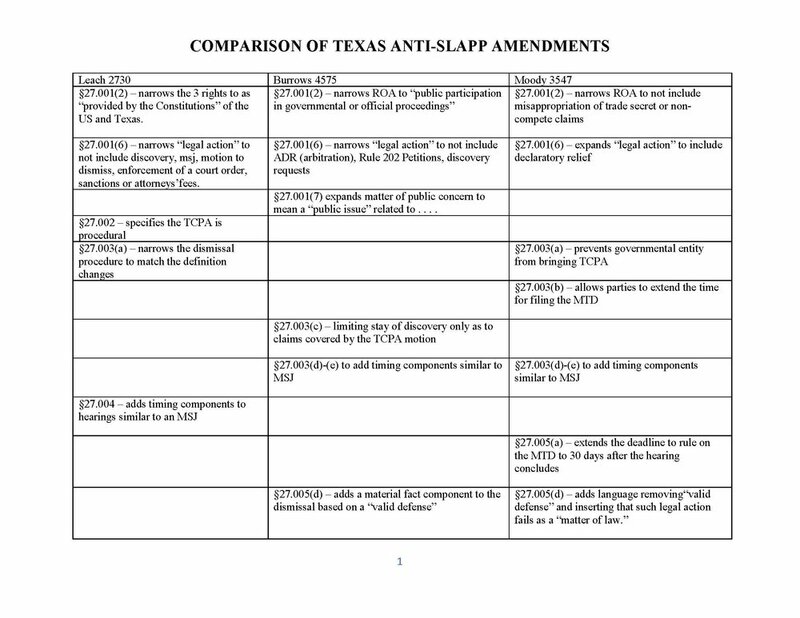 Here are the 3 House Bills that are proposing amendments to the Texas Anti-Slapp. 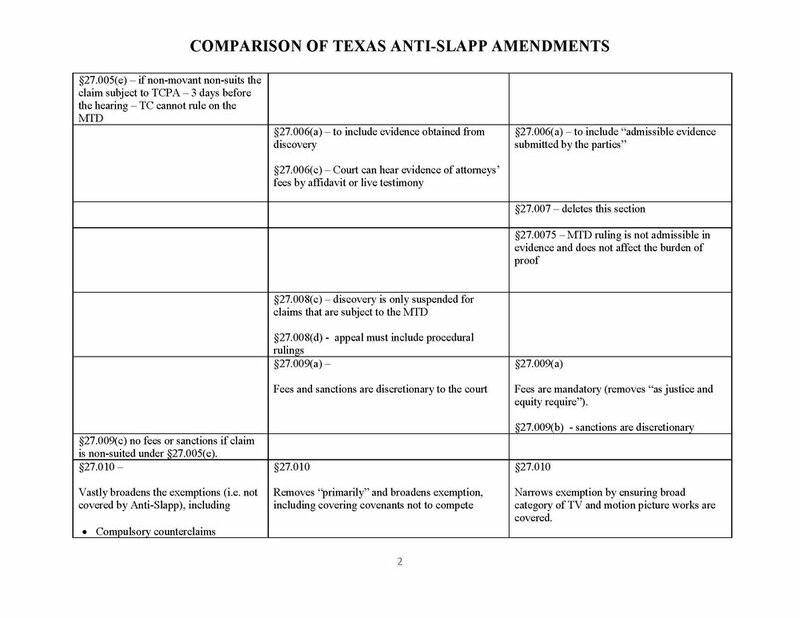 I’ve also created a table (using my short hand) to show major suggested changes to Texas Anti-Slapp. While there is some overlap between the bills, they all appear to address different perceived weaknesses in the statute. I have already notice a hard push within the media community to protest any changes that are perceived as weakening the Texas Anti-Slapp. Greetings from The Big Texan in Amarillo, where I’ve stopped to have lunch! Texas Anti-Slapp practitioners need to know the newly constituted Dallas COA has weighed in on Right of Association, siding with the narrow reading issued two weeks ago by the Fort Worth COA. The trial court denied a Texas Anti-Slapp Motion concerning conspiracy and misappropriation of trade secrets. There is more to unpack here and I’ll be back to discuss the 3 competing bills that are up for discussion in the Texas legislature. TLR has come out swinging about the breadth of the Texas Anti-Slapp, circulating an 18 page paper to Texas legislators. The paper certainly raises important issues, many identified on this blog. What the paper doesn’t address is exactly what those changes would look like. Until any proposed changes are released, it’s impossible to determine whether they will solve the concerns expressed by courts and practitioners. Three New Opinions on Texas Anti-Slapp, including the Dallas COA finally getting on the board in 2019. 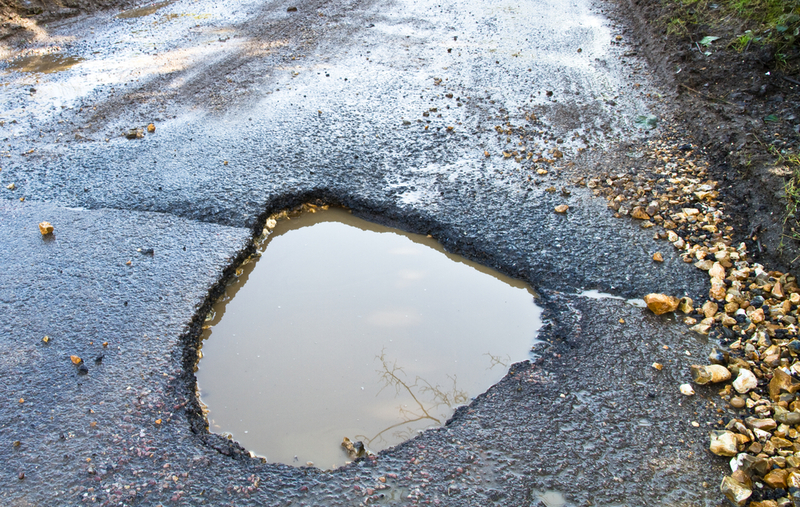 The week of February 25, 2019 was relatively busy for Texas Anti-Slapp opinions, but no new ground was broken. First up, Judge David Godbey of the US. NDTX weighed in on his view that the Texas Anti-Slapp does not apply in federal court for similar reasons discussed in prior posts. See William Noble Rare Jewels, L.P. v. Sky Global L.L.C. 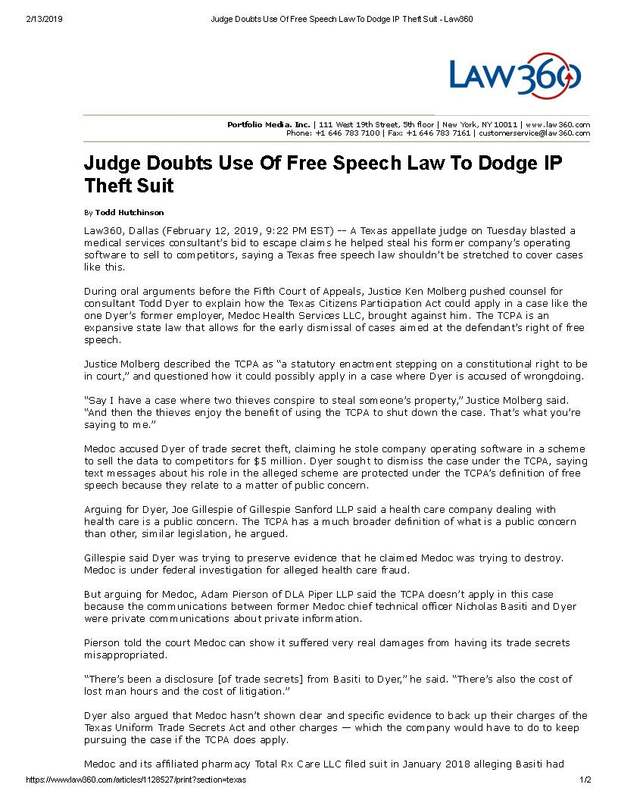 & Ryan Rich, 2019 WL 935954 (NDTX Feb 2019)..
Second, the Tyler COA issued another opinion applying Texas Anti-Slapp to a hospital lien dispute but determining the commercial speech exemption applied. See Keantae Berry v. ETX Successor Tyler F/KA Texas Medical Center, NO. 12-18-00095-CV (Tyler COA Feb. 2019). This is the second opinion following the same analysis and the second loss for the same hospital trying to use the Texas Anti-Slapp to defeat hospital lien disputes. ETX Successor Tyler f/k/a East Texas Medical Center v. Terrie Pridgeon, as Guardian of the Person and Estate of Jason C. Dubos, NO. 12-18-00083-CV, 2019 WL 623603 (Tyler COA 2019). Lastly, the Dallas COA rejected an appeal of the grant of a Texas Anti-Slapp motion dismissing IIED and defamation claims. See Keisha Pope-Nixon v. Jeanine Howard and Alvin Green, DC-18-02907 (Dallas COA 2019). The trial court had not yet determined the issue of attorneys’ fees when the non-movant filed the appeal. On a request for briefing from the parties, the non-movant took the position that the trial court’s order resolved the dispute in its entirety and failed to rule on the attorneys’ fees during the thirty (30) day statutory window. While I did not pull the briefing, my educated guess is the non-movant was trying to argue (or set up an argument for later use) that the attorneys’ fees should be denied based on the lack of a timely ruling. This is not the first time I’ve seen this argument on the timing of the ruling on attorneys’ fees raised and rejected. It appears that non-movants are trying to use this as a tactic neutralize potential fee awards. Nonetheless, the Dallas COA did not take the bait and determined that it lacked jurisdiction because the issue of attorneys’ fees remained outstanding. Not only has non-movant potentially increased the amount of fees she will ultimately be responsible for, this trip to the COA has caused a further delay in a final resolution (and potentially set up another trip to the Dallas COA, and perhaps beyond). Will the Atomic Bomb the Ft. Worth COA Just Dropped on Texas Anti-Slapp’s Right of Association Definition be the Tail that Wags the Dog up to the Texas Supreme Court? Thethird 2019 Texas COA opinion comes from the Fort Worth COA in Kawcak v. Antero Resources Corporation, Ca. No. 02-18-00301-CV (Ft. Worth COA 2019) and it takes on the issue of whether the Right of Association (“ROA”) definition under the Texas Anti-Slapp covers conspiracy claims. To get the references to “atomic bomb” and dog tail references you will have to read the opinion in full. But it might be the first time those two references are contained in the same COA opinion. "Exercise of the right of association" means a communication between individuals who join together to collectively express, promote, pursue, or defend common interests. Undoubtedly, this decision will get appealed to the TSC and perhaps we will finally get their take on the scope of ROA. More importantly, will other COAs adopt this rationale in the interim? Subscribe here to be the first to find out! Home Developer's $10 Million Tortious Interference Lawsuit Derailed (for now) by Texas Anti-Slapp. Back in March 2018, a Dallas home builder filed a $10 million lawsuit in Megatel Homes III LLC v. United Development Funding LP et al., case number DC-18-04147, in the 298th District Court of Dallas County. In October, Megatel filed its 3rd Amended Petition (the article below is based on the Original Petition), alleging five separate tortious interference with contract claims (four of which appear to be based on new allegations). The gist of the new claims is that defendants (who are lenders) caused their borrowers to prematurely repay loans, interfering with contracts between the borrowers and Megatel (based on a lack of money). In December, defendants filed a Texas Anti-Slapp against the four new claims based on a Right to Free Speech theory. Upon request by Megatel, the trial court allowed limited discovery and the hearing is currently set in April 2019 (one year after the lawsuit started). Regardless of the trial court’s decision, this case appears destined for the Dallas COA (which has yet to issue a 2019 opinion on Texas Anti-Slapp). Is a Hospital Lien Dispute Subject to Texas Anti-Slapp - Personal Injury Attorneys Get Guidance from the Tyler COA in 2019. The Tyler COA is on the board early in 2019 with an interesting opinion that could have ripple effects on hospital lien disputes. ETX Successor Tyler f/k/a East Texas Medical Center v. Terrie Pridgeon, as Guardian of the Person and Estate of Jason C. Dubos, NO. 12-18-00083-CV, 2019 WL 623603 (Tyler COA 2019) provides some insight. Defendant hospital filed a Texas Anti-Slapp against the plaintiff’s declaratory judgment claim concerning (a) the limitations on the hospital’s lien under Tex. Prop. Code §55.004(d)(1) and; (b) what is the reasonable amounts owed under the statute. While I do not practice in personal injury law, I assume this dispute must occur fairly regularly in the personal injury context. First, the Tyler COA determined the hospital filing a lien falls within the Right of Free Speech under the Texas Anti-Slapp. The Tyler COA did not reach the issue of whether the lien also would trigger protection under the Right of Petition. Second, the Tyler COA held that both the personal injury exemption (§27.010(c)) and commercial speech exemption (§27.010(b)) applied to exclude plaintiff’s claim from the ambit of the Texas Anti-Slapp. Because the hospital lien is designed to attach to judgments or settlement of a personal injury action it fell within the personal injury exemption. Further, because the lien related to medical services provided by the hospital to the underlying injured party it fell within the commercial speech exemption. Third, the Tyler COA took the somewhat unusual step of addressing whether the plaintiff met her burden concerning the declaratory judgment claim. Even though the Tyler COA could have stopped its analysis after holding that two exemptions apply, it went on to conclude plaintiff established the elements of a justiciable controversy that will be resolved by the declaration sought. Interestingly, the Tyler COA did not adopt the hospital’s position that the plaintiff had to establish the amount of the lien that is recoverable (arguably a difficult proposition that early in the dispute) but only that the declaration sought would resolve the controversy. (As a side note, if the Texas Supreme Court takes the issue up, by addressing whether plaintiff met her elements prevents a delay in sending the case back to the Tyler COA if the TSC disagreed with the exemption analysis). Lastly, the Tyler COA also rejected the affirmative defenses brought by the hospital because quasi-estoppel and estoppel by contract do address whether a justiciable controversy is resolved by the declaratory judgment claim. (Another side note – the Tyler COA did point out that the hospital did not argue that the declaration sought would not resolve the controversy. If the hospital argued that the dispute was already ripened there may have been a different outcome, but that is a debate for another day). While We Wait for the Fifth Circuit's Ruling on Whether Texas Anti-Slapp Applies in Federal Court, What is the 2018/19 Trend in Texas Federal District Courts? The Fifth Circuit has at least two cases fully submitted that may finally decide the issue. Until then, a look at twelve 2018/19 District Court opinions shows it depends on the district you are in and the judge you draw as to whether the TCPA will be applied. 7 times Court’s held the TCPA does not apply in federal court. 3 times the Court held the TCPA did apply. 2 times were effectively no decisions where the Court assumed, without deciding, it applied. Make sure to vet your Judge’s opinions on Texas Anti-Slapp, there are clear patterns for certain courts. How will the Texas Anti-Slapp fare Under the New Dallas COA? In 2017, the Austin COA issued Elite Auto Body LLC v. Autocraft Bodywerks, Inc., 2017 WL 1833495, Tex.App. – Austin, May 5, 2017) which dismissed a trade secret misappropriation claim under the Texas Anti-Slapp. Elite Auto Body relied upon ExxonMobil Pipeline Co. v. Coleman, 512 S.W.3d 895 (Tex. 2017), which reversed the Dallas COA’s refusal to apply the Texas Anti-Slapp to an employment dispute case. The Austin COA determined that Coleman stands for the proposition that the broad definitions of the Texas Anti-Slapp covers claims that otherwise would not fall within the typical understanding of constitutional rights. This analysis is consistent with the Texas Supreme Court’s analysis in Youngkin v. Hines, 546 S.W.3d 675 (2018) that the Texas Anti-Slapp is broader than constitutional safeguards. (See my earlier blog post on the TSC 2018 Year in Review). How the case will turn out remains to be seen. But we may see a dissent or concurrence that joins a growing list of jurists that are issuing opinions( in dissents or concurrences) that request legislative change to the Texas Anti-Slapp. A reader emailed me to point out I missed Vodicka v. A.H. Belo Corporation, No. 05-17-00728-CV (Dallas COA 2018), where the Dallas COA upheld the trial court’s dismissal of a defamation claim under the Texas Anti-Slapp. Updated data points and chart below. The Dallas COA issued nineteen (19) opinions involving Texas Anti-Slapp, one of which was withdrawn and superseded. Demonstrating the complexity of the statute, the TC’s results were a mixed bag, with TC’s being upheld slightly more than they were reversed. Two of the opinions were the result of reversals by the TSC, remanding the issue back to the Dallas COA for further determination. · In seven (7) opinions the trial court’s (“TC”) decision was completely upheld. · In four (4) opinions the TC was completely reversed. · Six (6) other opinions were either split (upheld in part, reversed in part), did not reach the main issue of whether the Texas Anti-Slapp should have been granted, or were not addressing the merits of a grant or denial of the motion. · Six (6) opinions dealt with the grant of a Texas Anti-Slapp dismissal (3 upheld, 2 reversed, and 1 split decision). · Six (6) opinions dealt with the denial of a Texas Anti-Slapp dismissal (2 upheld, 2 reversed, and 2 split decisions). · Three (3) opinions dealt with attorneys’ fee issues. · Two (2) opinions were on remand from the TSC. · One (1) dealt with the breadth of discovery. The Little Blog that Could - Welcome to LexBlog and Top 10 Blogs of the week on Texas Bar Today! In Humberto Leniek v. Evolution Well Services, LLC, NO. 14-18-00954-CV, 2019 WL 438825 (Houston COA 2019), the Houston COA dismissed an appeal where the trial court granted the Texas Anti-Slapp motion but had not ruled on the attorneys’ fees request when the non-movant appealed. The Houston COA held that the lack of a ruling on the attorneys’ fees request meant there was not a final judgment subject to appeal. This ruling is consistent with other COAs that take a narrow view of interlocutory appellate rights under Tex. Civ. Prac. & Rem. Code §51.014(a)(12) (interlocutory appeal only for denial of Texas Anti-Slapp Motion). To ensure you do not further delay appellate review, practitioners need to make sure they fully understand the appellate rule interplay with the Texas Anti-Slapp. The Opinion Applying Anti-Slapp in Federal Court No One Has Heard Of. In Craig PC Sales & Service, LLC v. CDW Government, LLC, Case No. CIV-17-003-F, 2018 WL 4861522 (W.D. OK April 30, 2018), Senior Judge Stephen P. Friot issued an unusual opinion applying the Oklahoma Anti-Slapp in federal court, despite determining that the statute conflicts with Fed. R. Civ. P. 12 and 56. This is precisely the argument adopted in dissent by Justice James E. Graves, Jr., in Cuba v. Pylant, 814 F.3d 701, 718 (5th Cir. 2016), wherein he argued the conflict should prevent application of the Texas Anti-Slapp in federal court. Several federal district courts in Texas have since adopted Justice Graves dissent to reject application of the Texas Anti-Slapp in federal court. (Side note – practitioners in Texas are still waiting on rulings in Klocke v. Watson (No. 17-11320) and Van Dyke v. Retzlaff, (18-40710) which should finally set precedent for the Fifth Circuit as to whether the Texas Anti-Slapp applies in federal court.). Following 10th Circuit precedent regarding the Rules Enabling Act, Judge Friot determined that because F.R.C.P. 12 and 56 abridge or modify the substantive rights of the Oklahoma Anti-Slapp, those rules must yield and the statute applies in federal court.. In the case at bar, the application of Rule 12 or Rule 56 instead of the OCPA would therefore abridge or modify the state substantive right to recover attorney’s fees as recognized by the Oklahoma Supreme Court. Although Justice Stevens cautioned that the bar for finding a violation of the Rules Enabling Act is “a high one,” the court concludes that Rules 12 and 56 cannot be applied here in a manner consistent with the strictures of the Rules Enabling Act, since they abridge or modify substantive rights as recognized by the Oklahoma Supreme Court. Shady Grove, 559 U.S. at 432. Because Rules 12 and Rule 56 may not, consistently with the Rules Enabling Act and Justice Stevens’ concurring opinion, be applied here, and the court concludes that application of the OCPA conforms with the twin aims of Erie “discouragement of forum-shopping and avoidance of inequitable administration of the laws,” Hanna, 380 U.S. at 468, the court will apply the OCPA to plaintiffs’ claims. Despite this opinion issuing in April 2018, and multiple federal courts weighing in on anti-slapp statutes around the country since then, no court has cited to Craig P.C.. Making it unheralded, and either prescient or an outlier when SCOTUS someday addresses the anti-slapp issue. How did Trial Court Rulings on the Texas Anti-Slapp do in the Dallas Court of Appeals in 2018? 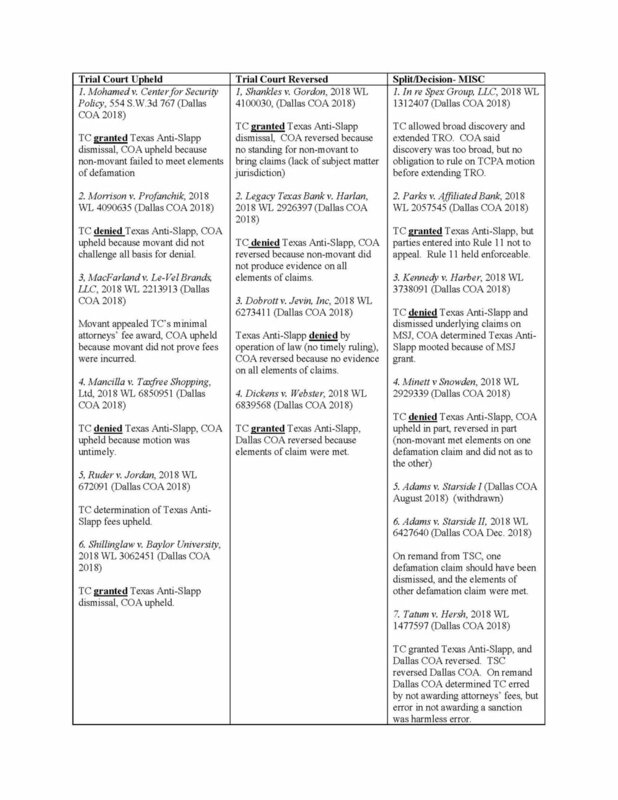 The Dallas COA issued eighteen (18) opinions involving Texas Anti-Slapp, one of which was withdrawn and superseded. Demonstrating the complexity of the statute, the TC’s results were a mixed bag, with TC’s being upheld slightly more than they were reversed. Two of the opinions were the result reversals by the TSC, remanding the issue back to the Dallas COA for further determination. · In six (6) opinions the trial court’s (“TC”) decision was completely upheld. · Five (5) opinions dealt with the grant of a Texas Anti-Slapp dismissal (2 upheld, 2 reversed, and 1 split decision). In Glassdoor, Inc., Doe 1, and Doe 2 v. Andra Group, LP, Ca. No. 17-0463, the petitioner, Andra Group, filed a 202 Petition to discover the identity of unknown individuals that allegedly disparaged/defamed the company with online posts on Glassdoor. 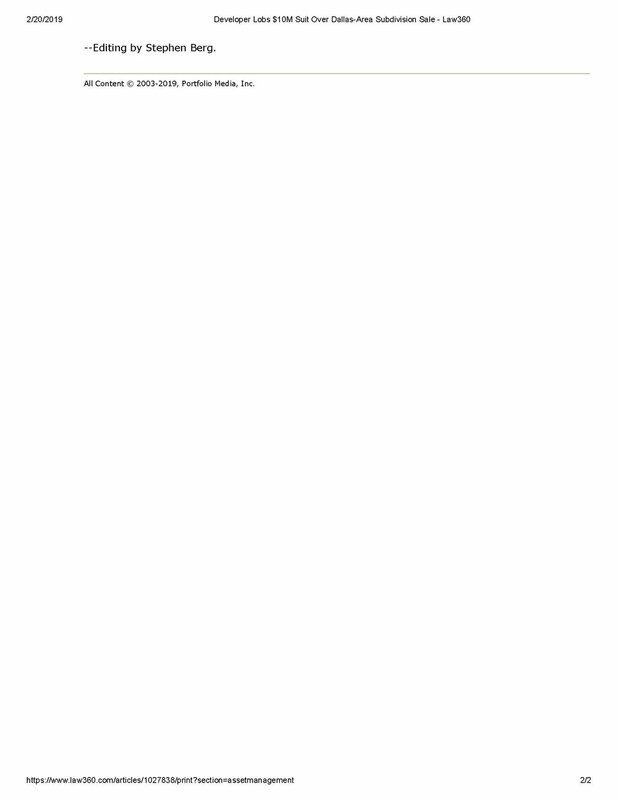 The trial court denied Glassdoor’s Texas Anti-Slapp motion and the Dallas COA, upheld (assuming (without deciding) the Texas Anti-Slapp applied and that Andra Group met its evidentiary burdens (s to the elements of a 202 Petition). Glassdoor argued at the trial court that the 202 should be denied because the statute of limitations on any claims against the Doe Defendants expired, mooting any potential claim Andra Group could investigate. The TSC reversed on the mootness argument, and sidestepped whether a 202 Petition is actually covered by the Texas Anti-Slapp. The TSC’s discussion on statute of limitations is instructive as it noted that once the petitioner knew of the statements the clock starts ticking, and it is upon the injured party to use whatever tools, including a “Doe lawsuit,” to discover who made the statements. The TSC also denied Glassdoor’s request for recovery of attorneys’ fees (distinguishing its mootness analysis from State v. Harper, 562 S.W.3d 1, 6 (Tex. 2018)). Because the statute of limitations issue mooted the 202 Petition (and Glassdoor failed to win its Texas Anti-Slapp motion at the trial court) Glassdoor could not recover attorneys’ fees. In essence, Glassdoor’s mootness argument defeated its Texas Anti-Slapp motion. The Oklahoma Citizens Participation Act (“OCPA”) is substantially similar to the Texas Anti-Slapp, and recently in Southwest Orthopaedic Specialists, P.L.L.C. v. Allison, Case No. 116,348, --- P.3d ---- (OK COA 2018), the Oklahoma Court of Appeals relied heavily on Texas case law in drawing the contours of the OCPA. In particular, with regard to what is necessary to survive dismissal for the damages elements of a claim. Although determining the plaintiff had not met the damage elements of their claims, it remanded to the trial court for a new hearing (ostensibly giving the plaintiff a chance to cure its damage deficiencies).It’s safe to guess that Oklahoma litigators will continue to look to Texas Anti-Slapp case law in the future. Adams v. Starside Custom Builders, LLC, 547 S.W.3d 890 (2018) was the first Texas Ant-Slapp opinion of 2018, and the last in our review. In this ugly dispute between a homeowner and a real estate developer (Starside), Starside sued the homeowner for business disparagement and later defamation. The trial court dismissed the business disparagement claim (which was non-suited by an amended petition after the Texas Anti-Slapp motion was filed) but did not rule on the defamation claim (added by the same amended petition). Because the trial court did not timely rule as to defamation claim the motion was denied by operation of law and homeonwner appealed. The Dallas COA upheld the denial and the TSC reversed and remanded for a determination as to whether Starside met the elements of defamation (which the Dallas COA did not reach). The TSC noted that the Texas Anti-Slapp “casts a wide net.” Something litigants realize all too late. The TSC also determined that homeowner adequately raised whether the amended petition fell under the community or environmental well being prongs of the right to free speech, even though such arguments were apparently raised only in oral argument at the trial court. As noted in an early blog post, the Starside battle is not over. The Dallas COA recently dismissed part of the defamation claim but determined that Starside met the elements for a separate defamatory statement. And it only took three years to get back to the starting point.